4.25 oz. Poplin fabric with a blend of 65% polyester / 35% cotton. Pre-cured durable press w/ soil release & wickable finish. Two button-thru hex style pockets w/ angled bartacks, bartacked pencil stall in left pocket. 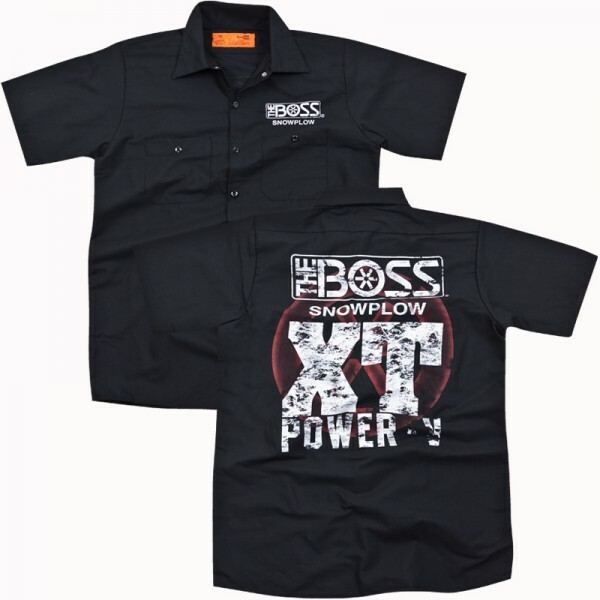 The Boss Snowplow logo screen-printed on the front over the left pocket along with The Boss XT design on the back. Weiterführende Links zu "Industrial Work Shirt"